A recent theme of my articles has been to focus on maximizing retirement cash sources that do not generate higher-income Medicare surcharges. The surcharges, officially known as the income-related monthly adjustment amounts (IRMAA), create higher Medicare out-of-pocket costs without providing any additional health coverage benefits. The strategy is to structure retirement cash flow that is excluded from Medicare’s equation. A Health Savings Account (HSA) is one of the best ways to accomplish this. This type of account is the most tax-preferred savings vehicle we have in the United States today and an increasingly important retirement-planning tool, because it provides a tax-free source of cash flow when spent on medical expenses in retirement. The fact that HSA money will not cause an income-related increase in Medicare premiums creates a double retirement-planning bonus for your clients. From a practical perspective, HSAs are highly misunderstood, making it challenging for people to use them effectively. As a result, your clients are not making the most of the opportunity to save in the tax-free vehicle, and at times are claiming a tax deduction for HSA contribution to which they are not entitled. There are many rules specific to HSA eligibility, contribution limits and plan function that you might find helpful to review. Beyond the basics, the following misunderstandings get in the way of the best use of an HSA: lack of understanding about how to contribute to an HSA outside of the employer contribution and payroll deduction model; and the feasibility of contributing to an HSA after age 65. One mistaken belief is that people can only put money into an HSA through a payroll deduction plan. Some people think that even if they contribute directly to their account, they will not get the tax-preferred treatment. Direct contributions to an HSA by the account holder are eligible for tax-free treatment. 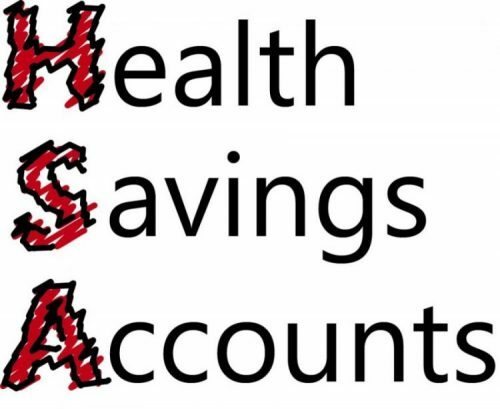 An HSA is a bank account to which deposits can be made either through payroll deduction or directly by the consumer. Those deposits can be made by check, bank transfer or even cash at the local bank branch that custodies the account. The funds that are deposited by the consumer are reported on their tax return using IRS form 8889. Form 8889 is included in the tax filing and reported on the 1040 form. Consumer direct deposits reduce the person’s adjusted gross income, generating the same tax savings they would have through payroll deduction. Many people are grappling with this as more and more folks of every age are getting their health coverage outside of an employer group. Typically, this occurs when employer group coverage ends due to job changes, small business startups, retirements, COBRA coverage, etc. If a person has an HSA-eligible health plan, they can start a new HSA if they do not have one or contribute to an existing account. Can HSA contributions be made after a policyholder is 65 years of age? The answer is not a simple yes or no. If a person has any part of Medicare, they cannot make or accept new contributions to their HSA. • An employee working beyond full retirement age takes their Social Security benefits. They are then enrolled automatically in Medicare Part A. That employee can no longer contribute to or accept contributions from others into HSA, even if she has an HSA-eligible high deductible health plan (HDHP). Her employer may not be aware of her Medicare status and still allow payroll HSA contributions. In such a case, the employee is taking a tax deduction to which she is not entitled. • Some employer groups have a policy of not allowing HSA payroll deductions for anyone in the company over 65 years of age. That can lead employees to think that they cannot make a contribution to an HSA when they are, in fact, eligible. As long as the person is not taking any part of Medicare, even when 65 years or older, he can contribute to an HSA. It is important to have a clear understanding of who can contribute new money into an HSA and how to accomplish that outside of an employer payroll deduction plan. That will enhance your client’s opportunity to reap tax-preferred benefits of an HSA and continue to grow the health care nest egg for future use in retirement.